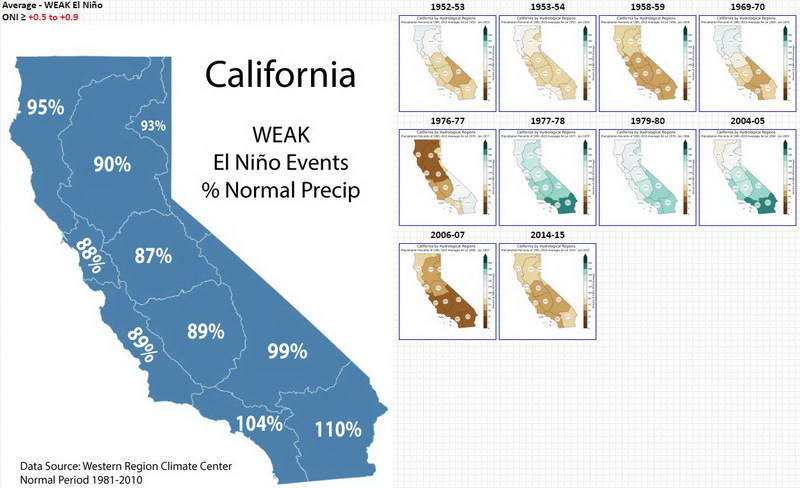 The Climate Prediction Center (CPC) currently has an El Niño Watch for this coming Fall and Winter, though they have been gradually decreasing its probability of occurrence in recent months. 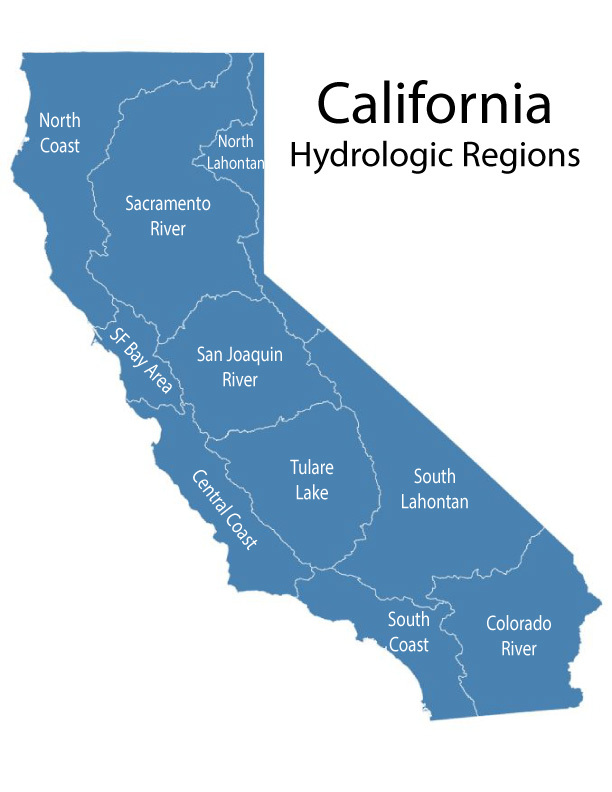 The climatology is based upon the 10 California Hydrologic regions (map) and generated with the updated (and excellent) Western Region Climate Center's California Climate Tracker tools. As always, corrections, comments and corrections are greatly appreciated.